Been working up a storm of character designs lately, some professionally, and some for personal projects. Here are a few. 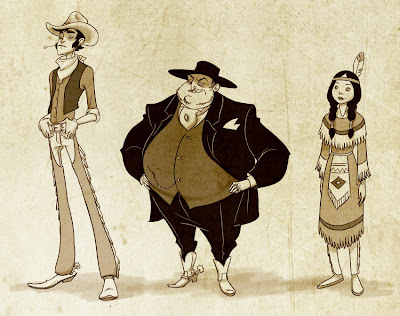 Above is the line-up of a kind of cowboy version of the Labours of Hercules. A spritely punk from a personal project. 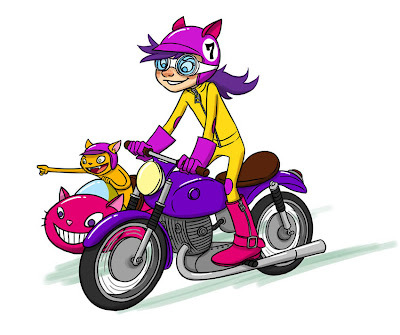 A moto-girl for a racing game proposal. And, finally, a (semi-personal?) character design for another game proposal: It started with the game-play modeled after Snake, and I built the story on top of it. 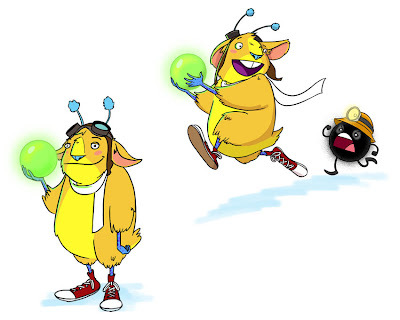 The furry thing's name is Dash, and he's an alien pilot who steals fuel orbs for his spaceship from these dust mites that work in the mines of his planet. 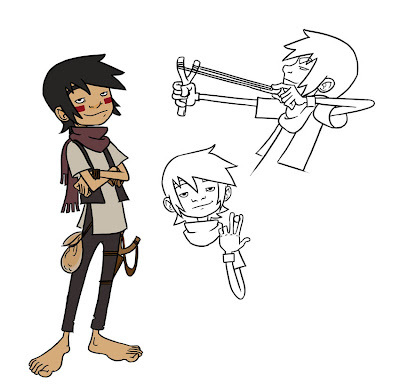 The story was deemed a little too complex by the PTB, which I get, but I made the artist's mistake of falling in love with this guy, so it gave me a little sad when he got rejected.